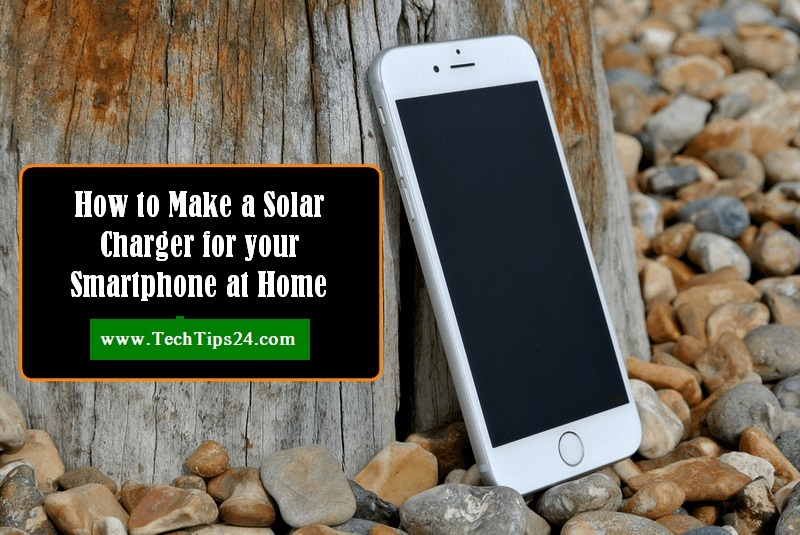 How to Make Solar Phone Charger for your Smartphone at Home: Gadgets have crept so much in our daily lives that we cannot simply think of a day without them. What do gadgets actually do? They make our life easy. For example washing machine makes washing clothes easier, Air conditioner helps to beat the summer heat, mobile phones, and tablets helps to increase communication. Unlike most of the gadgets that require instant electricity to run, cellphones and tablets require electricity stored in form of charge in a battery. Currently, in these times, smartphones have developed so much that the battery drains out fast and you need to charge it often. This “often charging of a smartphone” is the major problem nowadays. Now with every problem comes a solution. Portable and solar chargers were manufactured to prevent our phone battery from dying out in the time of need. Portable chargers have to be charged beforehand so that they can provide charge on the go. On the other hand, solar chargers do not need to be charged and can be just put under sunlight to charge your gadget. You can simply buy a solar charger from the market or you can just make one on your own. It’s easy. Question: How to make a solar charger? Pure silicon panels. These generally come in 0.5 V or 1.5 V each. 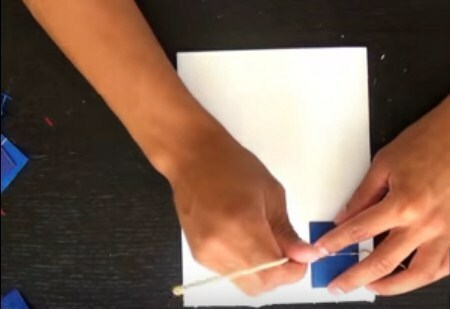 To make a Solar Charger, First take a cardboard sheet and cut out a rectangular piece from it with the help of the ruler and a cutter (the length and breadth of the cut out depend on the size of the solar panels and how many you want to put on it). Now take the number of solar panels you want. For example, we are here taking 9 solar panels. 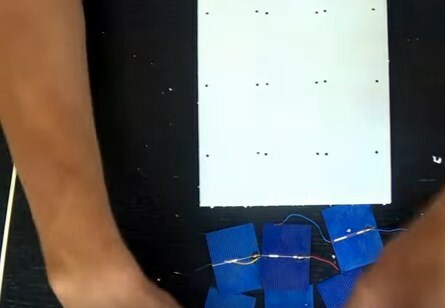 Place one solar panel on the cardboard cutout and then make two small holes on the cardboard exactly where the wires of the solar panel are sticking out. Now repeat this process by placing the solar panels side by side and then again in the next row till all the nine solar panels are placed and the holes are made on the cardboard cutout. The most important part is how to arrange the wire of the solar panels with each other because one of the wires is negative and the other one is positive. The positive wire will have a red plastic covering always no matter what solar panel it is. 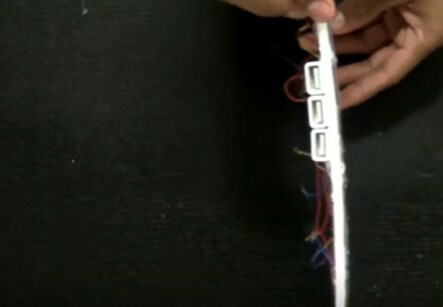 Suppose you take a solar panel and place it on the cardboard with the positive (red) wire on the left i.e. you have started from positive, which means that your other wire on that very solar panel is negative. Now you need to connect the negative wire to the positive wire of the adjacent solar panel. It is because of the fact that like charges repel each other. 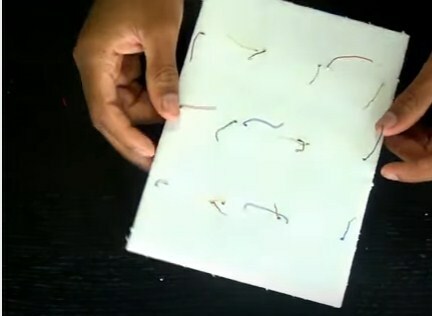 For example: if you connect a positive wire to a positive one or a negative wire with a negative one, then they will repel each other and hence the current will not flow through them. Therefore, place the solar panels by the above-stated method so that the junction of the wires is of opposite nature to each other. Once you have arranged them perfectly put the wires through the holes which you have made earlier on the cardboard cutout. With the help of glue stick, cut out the solar panels on the cardboard so that they won’t fall of the cardboard. After that, flip the cardboard cutout and join the naked end of the wires to each other as mentioned previously. Having the wires joined to each other – there will be two wires (one at the first and one at the last) which will be free. Take a voltmeter and check out which of the free wires is positive and which is negative. After having done that take the USB extension cable and cut it from the middle. With the help of a knife/ cutter cut the plastic covering of the USB extension cable. You will be able to see there are four wires in total .i.e. one red, one black, one green, one white. Out of these four wires the red is the positive one and the black is the negative one. The rest of the wires are for earthing. Hence you can cut them off. Join and stick the positive wire of the USB extension cable with the positive end of the free solar panel and the negative to its negative counterpart with the help of glue. Stick the USB extension with the cardboard cutout. You can also add one or more USB extensions to the solar panel but it will bring down the amperage and your devices will charge slowly. Now cut out another piece of rectangular cardboard in the exact same size. After that cut out thin strips of the same length and breadth. With the help of glue, stick the thin strips to the newly cut out cardboard. Then place the solar panel cardboard on that and stick it with glue. 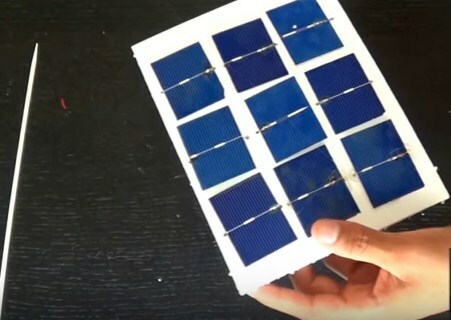 To make the solar panel stand at an angle towards to the sun made a cardboard stand and stick it with glue on the solar panel. 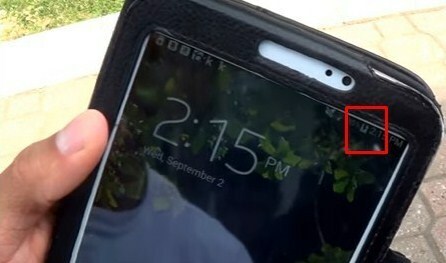 The last thing you have to do is to just place the solar panel out in the sun for some time and then connect your USB cable to the panel and then the other end to your phone. You will now see that the phone has started charging. This is the process on how you will make a solar charger for yourself. 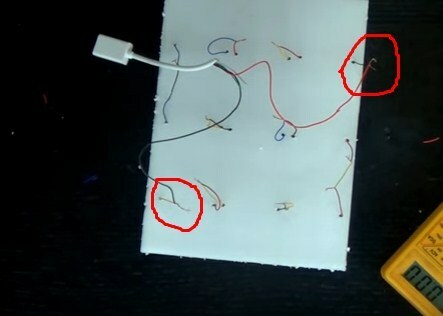 If you wish to make a charger with 1.5-volt solar panels then you have to connect the panels in a parallel circuit so that you can get the same voltage but the amperage will increase. This will make your phone charge faster. If you would have connected them in series, then the voltage would have increased but the amperage would have been the same. So, how easy was it? Do let us know in the comments.